Remember when you were little, and your friends from the neighborhood would tell you an outlandish story and you wouldn’t believe them until they “swore to God” that it happened? Or you’d promise to do something for your friend if they’d give you their last Oreo cookie and they’d make you “swear to God” that you’d really do it? I can remember being little and hearing “Swear to God?” or even worse “Swear on your mom?” (How awful!) so often it didn’t even faze me. It was our way in the neighborhood of making sure they weren’t just making things up; they couldn’t just give their word, they had to swear or promise on top of that. That’s kind of what Jesus is saying here. 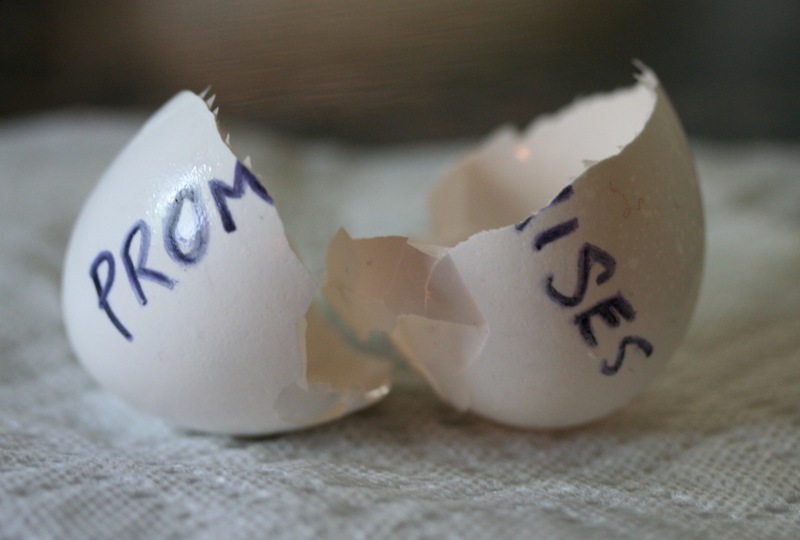 If you keep your word, why would there need to be an additional promise or oath given? Your yes should be enough. Your no should be enough. Your word should be taken seriously at face value because you live with integrity. Anything less would be dishonest. There should be no reason to have to take an additional oath; your word should be an oath. If you commit to something, show up. If you say one thing to a person’s face, make sure it’s the same thing you’d say behind their back. Keep your word. Even worse than just telling a fib or being flaky, is saying things like “The LORD told me to _________”. In fact, when you see “You shall not take the LORD’s name in vain” as one of the 10 commandments, that’s what this is referring to. This is saying God is leading you to do something or promising in His name, but in reality, God has nothing to do with it. The Lord told me to quit my job. The LORD said I need to break up with you. I feel like the LORD is calling me to move to Hawaii. Maybe the LORD is leading you to do those things, but if He’s not, and you’re over spiritualizing life decisions, you may be taking the LORD’s name in vain. Taking the LORD’s name in vain is making an oath in the name of God that God never intended for you. Letting your yes be yes, and your no be no is living with integrity and cultivating trust in your relationships. Living in such a way helps you grow in your trust and obedience to the LORD as well. Let’s live with integrity in all we say and do. Read James 5:12. What happens when we don’t keep our word? Are you known for keeping word? Why or why not? What are some ways you can you grow in integrity by letting your “yes be yes” and your “no be no”?